Summer isn’t going anywhere yet. With many more days of sun-soaking and fresh-dining ahead, it’s the perfect time to get further acquainted with some old favourites and bring a subtle edge to those summer dishes. Classic and versatile, your summer pantry isn’t complete until you’ve added these staple ingredients. 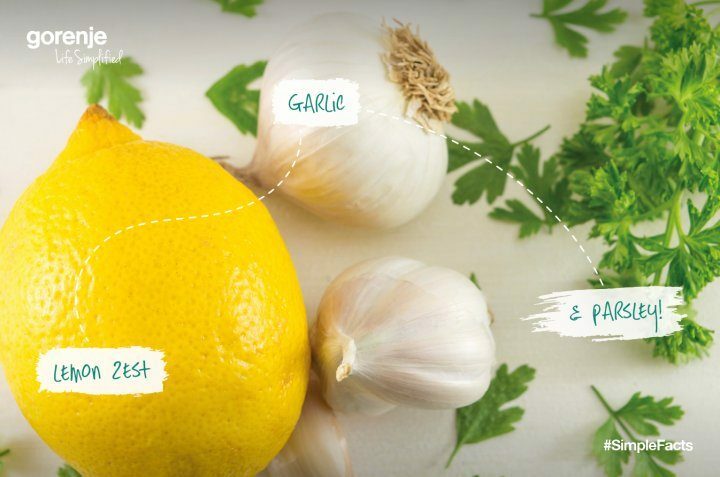 The refreshing zing of lemon balanced by the strong tones of garlic and the earthy-yet-subtle essence of parsley makes for a perfect blend. We’ve compiled a few of our most refined recipes that make the most of this exquisite fusion. Pasta doesn’t need to be overcomplicated – get your carb fix and boost your stamina with this classic Italian staple. Keeping it simple with a mix of our featured ingredients helps bring new life to any type of pasta. Simply cook your chosen pasta (we suggest fresh linguine) in well-salted boiling water. Heat diced garlic in a well-oiled pan and add the cooked pasta, letting a little water in along with it. Once blended sufficiently, mix in finely chopped parsley and grated lemon zest. The combination is a testament to the power of this great blend of ingredients, as they emphasise the best of the pasta whilst bringing just enough flavour to keep your taste buds entertained. Bellissimo. When you think of summer, there aren’t many better combinations that spring to mind than a roaring BBQ and some fresh seafood. Go to any coastal restaurant in Spain or Portugal and you’ll struggle to find a fish dish without one of our featured ingredients, and for good reason. Just like with pasta, the blend brings just the right amount of flavour without overpowering the fish. It’s hard to go wrong with this mix, just be sure to add garlic whilst its cooking to let the taste infuse, and ensure you don’t add parsley too early as overcooking it will deplete the flavour. This is a versatile condiment that’s handy to have around for all kinds of uses in the kitchen. Finely grate or slice the three ingredients and combine with a little oil and salt, it’s as simple as that. You won’t regret having a regular supply for adding to any recipe you find yourself cooking, or even mixing into a salad or hummus for an extra kick. Perfect for adding to fried or steamed fish, this British classic is a Grandma’s house favourite, with a touch of garlic to bring it into the 21st century. Heartier options needn’t always be declined because it’s warm outside and just a tablespoon or two of this sauce is all you need to take fish and potatoes to the next level. Simply heat milk in a saucepan, add flour, butter, parsley, garlic and lemon juice and whisk until smooth.